Keywords: Manganese peroxidase, ligninolytic enzyme, Luffa acutangula, Phanerochaete chrysosporium, Musa paradisiaca, stem juice. Keywords:Manganese peroxidase, ligninolytic enzyme, Luffa acutangula, Phanerochaete chrysosporium, Musa paradisiaca, stem juice. 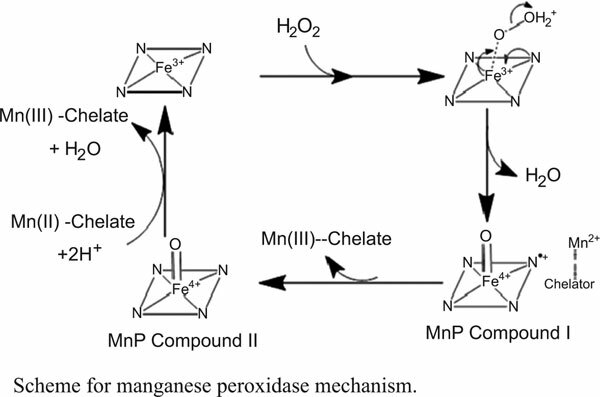 Abstract:Background: Only one manganese peroxidase from Musa paradisiaca leaf has been purified and characterized but from other plant sources are still to be reported with efficient manganese peroxidase activity.